Leeds-headquartered specialist property group, the Priestley Group, has unveiled plans for a London expansion following its first deals in the capital. 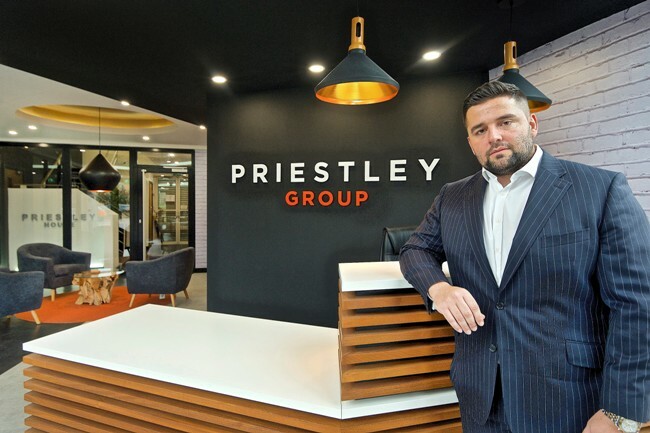 The move follows a period of significant growth across the North for the projected £32m turnover Priestley Group, which boasts a development pipeline of more than £100m. Priestley Group’s London growth has seen the business purchase it first two sites in the city: the redevelopment of the Packington Arms in Islington and the full-scale renovation of a further residential development in Finsbury Park. Both buildings are being purchased by subsidiaries of the group’s award-winning developer, Priestley Homes, and will be extended and completely transformed from their current use, to form luxury, bespoke apartments. Once work is complete, the properties will be retained by the group for the rental market. All works will be undertaken by sister company and main contractor, Priestley Construction, which has also joined the London expansion. Priestley Group plans to recruit roles including contracts manager and quantity surveyor, working out of its offices in Angel, Islington. Senior staff from the company’s headquarters in Leeds will directly oversee the London projects. Nathan Priestley, founder and chief executive officer of the Priestley Group, said: “We are Yorkshire through and through and our northern roots are the bedrock of our continued success. “London is seeing a slowdown in property values, and this is the opportune time to pursue a development strategy that benefits from the market. Together with this, Priestley Construction can offer its services to those developers in the capital wanting to bring down construction costs. We aim to start slowly and build organically; our award-winning northern operation will always be the priority.